Home Actors Salman Khan starrer Bharat new poster unveiled! The wait is over as Salman Khan’s look from the much awaited film Bharat has been unveiled. 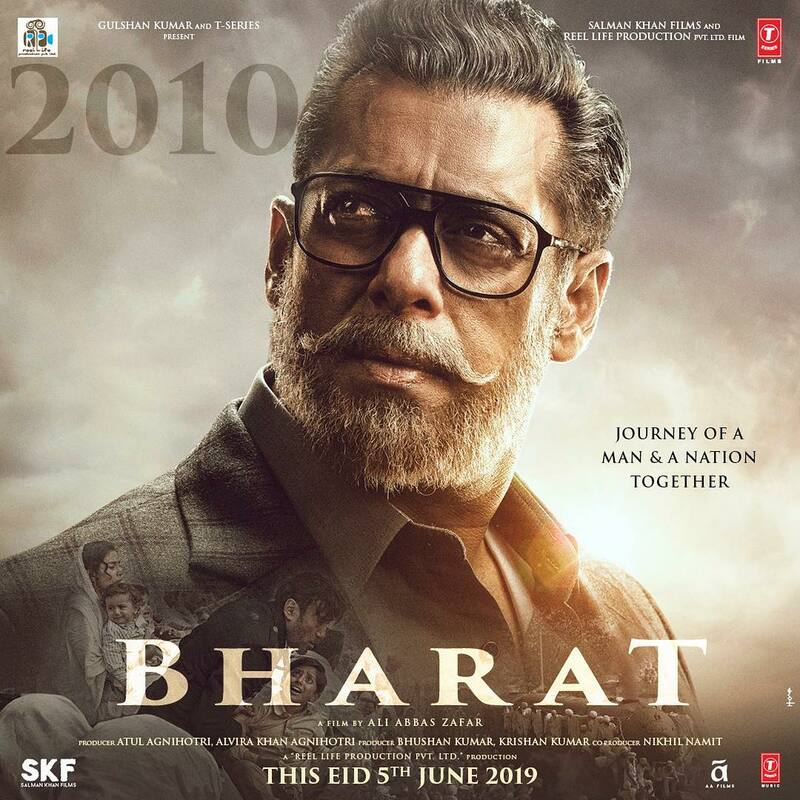 The new poster has shown Salman in an old man’s look. The Salman Khan and Katrina Kaif starrer is one of the most highly anticipated films of 2019. The Dabangg star will be seen sporting in different looks in the upcoming Ali Abbas Zafar directorial. Salman will be seen in different looks right from his childhood to an old man. The Sultan star also shared the new poster on his Twitter account and wrote, “Jitne safed baal mere sar aur dhaadi mein hain, usse kahin zyada rangeen meri zindagi rahi hain! #Bharat.” As soon as the new poster was unveiled, the fans expressed their excitement over the upcoming film. The actor’s look received a great response and is leaving everyone curious as to what the film has in store. Reports say that the film revolves around the key political event of India-Pakistan partition and the journey of the lead character through six decades. A lot of curiosity has been created in terms of Salman’s looks in the film. Bharat also stars Disha Patani, Sunil Grover and Tabu and is based on the Korean war drama An Ode To My Father.